We would like to thank customer, Steve Setzer for sharing these amazing images with us. Four decades ago, the creators of Anthony’s Key Resort envisioned a small, tropical hideaway that would allow adventurous travelers the opportunity to experience the beauty of Roatan and the Caribbean as nature intended. Today, the resort still retains an intimacy with its surroundings that are reminiscent of a peaceful island village. Charming, wooden bungalows dot the resort’s palm studded hillside and rim its shimmering lagoon. You can reach the tiny islet on a brief boat ride from the resort’s main grounds, where you’ll find more private bungalows and spectacular ocean vistas. While a favorite pastime among guests is lazing in bungalow hammocks, more active visitors can enjoy various water sports on the key’s small beach. Back at the resort’s main grounds, a restaurant and bar are perched high on a hillside surrounded by towering coconut palms. 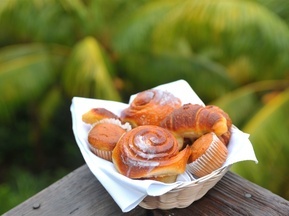 There, more sweeping views and fiery sunsets are served up alongside delicious tropical fare. Just steps below at the waters edge are the photo, gift, and dive shops, where there is dockage for a fleet of state-of-the-art dive boats. A short walk from there takes visitors to the Roatan Museum and Roatan Institute of Marine Sciences, where guests can participate in educational programs and encounters with marine mammals. More inquisitive guests can join trained naturalists across the lagoon on Bailey’s Key to interact with playful dolphins and observe some of the island’s indigenous plants and animals along the key’s nature trail. Anthony’s Key Resort’s successful blend of nature, comfort and hospitality, continues to draw return visitors year after year in search of tranquility and adventure. 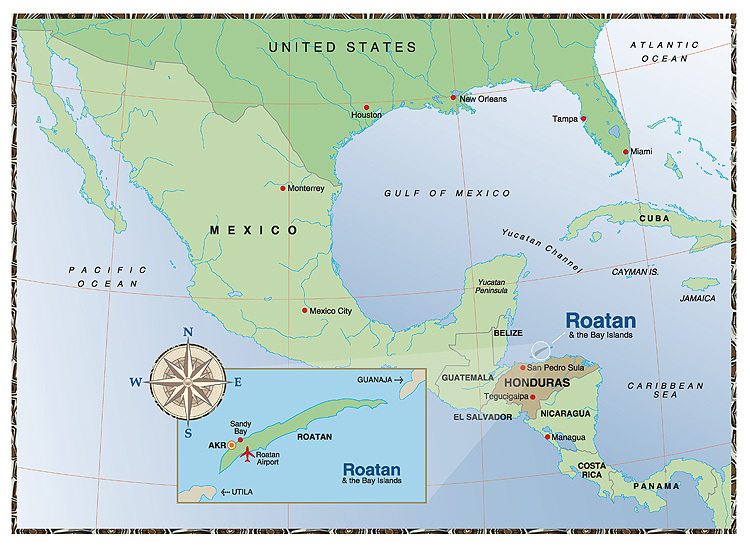 Roatán is located in the Western Caribbean, approximately 35 miles north of mainland Honduras. Roatán is the largest and most developed of the Bay Islands with an area of 49 square miles. The other main islands are Guanaja and Utila. Temperatures on Roatán hover between 77 and 88 ° F. The rainy period occurs between October and January. The warm crystal clear waters surrounding Roatán range from 78 to 84 ° F. The water visibility sits around 70 to 80 feet. Key Deluxe bungalows are our most spacious bungalows and can be found dispersed along the of perimeter of the key. 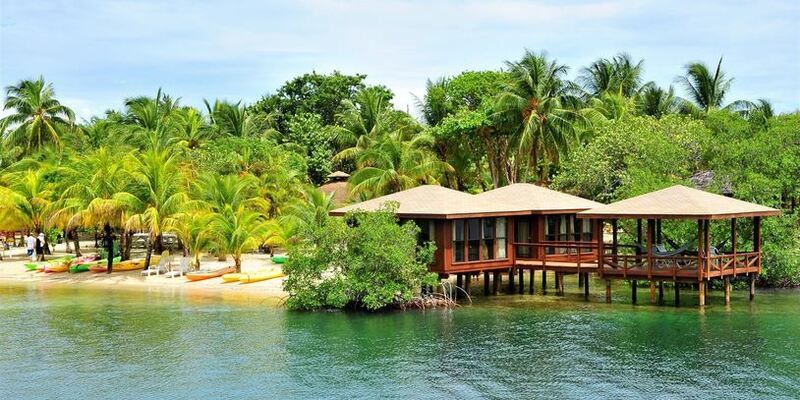 These bungalows feature wood floors, Honduran hardwood furnishings, natural stone counter-tops, air-conditioning and high visibility glass windows for spectacular ocean views. Each bungalow has an adjoined private covered deck, inviting you to unwind after a day of diving and rest in a cozy hammock, while embracing the tranquility after a day full of adventure. Access to the key is by island taxi boat, traveling back and forth in the lagoon, between the key and main island upon request. 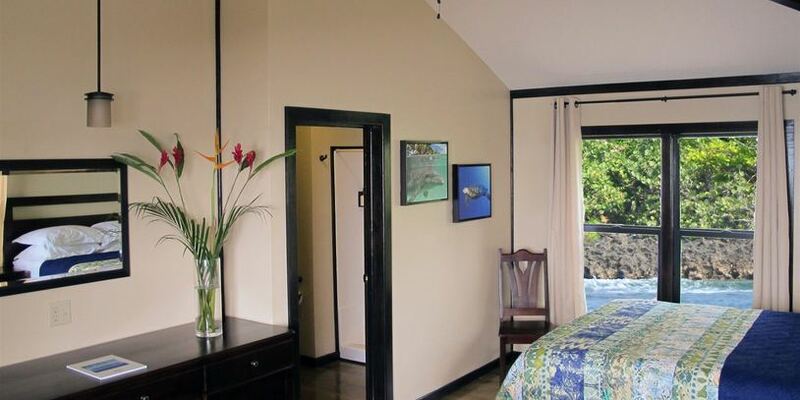 There are different types of rooms at Anthony’s Key, whether it be Bungalows on the hill or at the water’s edge. We have chosen the Key Deluxe rooms & the Key Superior Rooms for your trip. Key Superior bungalows feature warm hardwood floors that invite your bare feet to walk and Honduran hardwood furnishings elegantly arranged throughout. 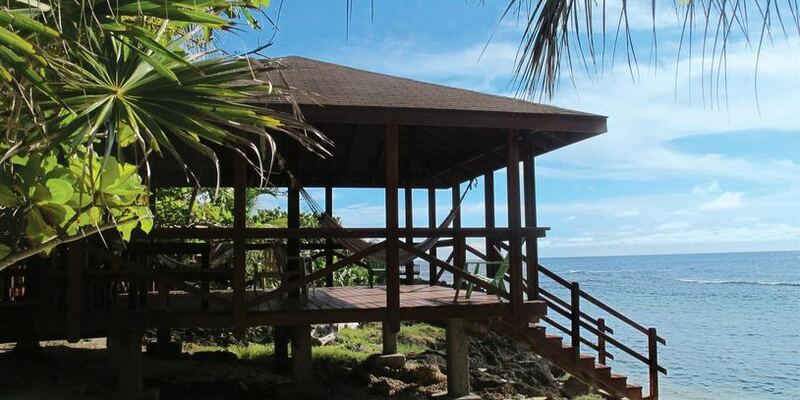 These bungalows are air-conditioned, weather-sealed and fitted with high visibility glass windows for spectacular ocean vistas. Most key superior bungalows are situated in groups of two, three or four and share a covered deck, making them ideal to gather with family and friends. Access to the key is by island taxi boat, traveling back and forth in the lagoon, between the key and main island upon request. 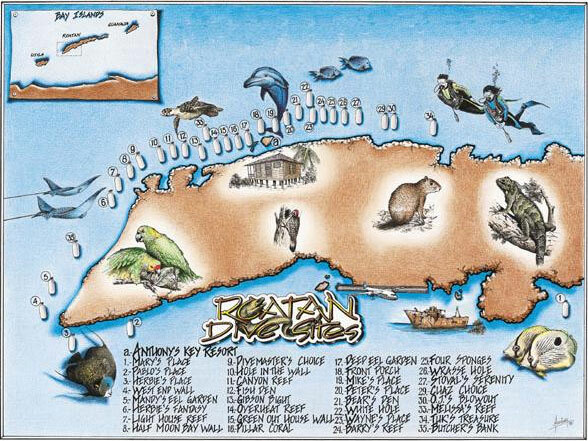 Perhaps no island in the Caribbean offers more distinctive or easily accessible dive sites than Roatan, with approximately 35 dive sites located from West Bay in the south to Man of War Cay. Anthony’s Key Resort is conveniently located in the middle and within a short boat ride of many of Roatan’s top dive sites. The island’s reefs and drop-offs are teeming with colorful marine life and are ideally suited for novices and experts alike. Surrounded by the longest barrier reef in the hemisphere, Roatan’s diving sites offer everything from hard-core wrecks and deep fissures to peaceful eel gardens and shallow terraces where countless macro photo opportunities abound. Coral grows thickly on walls that begin in crystalline waters as shallow as 20 feet below the surface and drop to the purple depths of the Caribbean. Squadrons of eagle ray, schools of brightly colored tropical fish, and the occasional meandering shark are just a few of the Roatan scuba sites that delight divers. Several large wrecks submerged near the resort, await exploration. With water temperatures averaging 80 degrees or warmer, gentle currents and visibility ranging from 50 to 100 feet, Roatan is a favorite among visitors who prefer their diving colorful, thrilling and unswerving. With three boat dives daily and two scheduled weekly night boat dives don’t quench your dive thirst, AKR’s backyard lagoon and bay will. Particularly convenient for guests staying on our private islet, the dive shack on Anthony’s Key is staffed and equipped with air tanks for easy beach access to “Front Porch” reef, a vital area of the reef ecosystem often overlooked by recreational divers. Shore diving is available Monday thru Saturday from 3:00pm to 9:00pm. Among the varied seascape, you may observe eel, grouper and octopus as they descend to depths of 40 feet or more, as well as schools of blue tangs, parrotfish, angelfish and damselfish, sea fans, star coral and brain coral. In addition, a small plane wreck in the lagoon at 30 feet is an excellent training tool for students and novice divers. On our last trip, many people enjoyed the Horseback riding, Shark Dive, paddleboarding and kayaking. Everyone loved all of the extra activities which kept them very busy. With your trip, all meals are included. Select from several entrees at lunch and dinner in our main dining room, or enjoy sumptuous buffets featuring regional specialties. Everything is freshly made and the selection is remarkable! Our dining room perched on the hillside offers a spectacular view of the lagoon, Anthony’s Key and Bailey’s Key. The adjacent Sunset Deck is the perfect location for taking photos and mingling with friends before dinner or during happy hour. 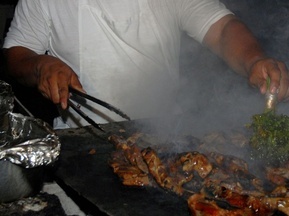 Three meals daily are included in our packages and are served buffet-style or by wait staff, depending on the menu. Beverages included: Coffee, Milk and Juices during breakfast; Coffee and Iced Tea during lunch and dinner. Sodas, fresh squeezed juices and alcoholic beverages can be purchased at the Frangipani Bar. Wednesday night is “Island Fiesta” night on the key! BBQ Baby Back Ribs, Fresh Red Snapper, Homemade Tortillas and Dessert make for a scrumptious dinner! We suggest using American Airline or United Airline to get to Roatan. Here are some examples of the flights to give you an idea. You will typically have 1 stop in Miami with a travel time of around 6:00am Boston Departure and arriving in Roatan around 12:30pm. You will be looking at an average right around $900-$1,400 for a round trip ticket. On the return flight you are looking at a 1:00pm departure time which will arrive back in Boston around 11:00pm. You will typically have 1 stop in Houston Texas with a travel time around 6:00am Boston departure and arriving in Roatan around 12:30pm. These flights are about the same pricing as American Airlines of $900 to $1400. On the return flight you are looking at a 1:00pm departure time which will arrive back in Boston around 11:00pm. Cost: Buy One Get One FREE! 1st Diver Pays $2595/Second Diver is FREE! 1st Diver Pays $2495/Second Diver is FREE! *Please Note* You must sign up with another person to get the Buy 1 Get 1 Free promotion. No refunds on trip payments and deposits unless your spot is filled. Spot must be filled 120 days before trip departure date. If you have to cancel and you find someone else to fill your spot, a 6% credit card processing fee will be taken out of your refund. If paid by cash or check, no fee will apply. Trip & Dive Insurance is highly recommended. Call us at 978.927.9551 or email us at dive@underseadivers.com to reserve your spot. Please don’t hesitate to give us a call or email us with any questions you may have.